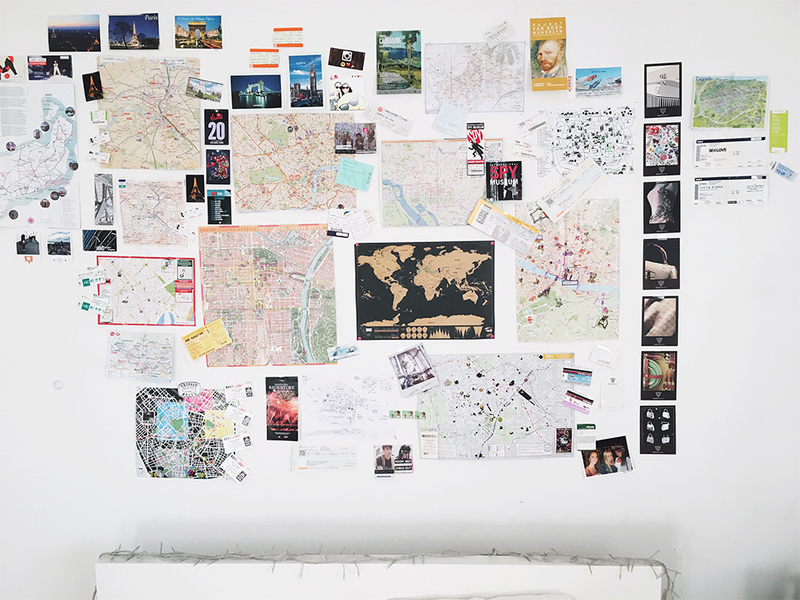 I had this idea of a wall, covered in maps, for forever now. 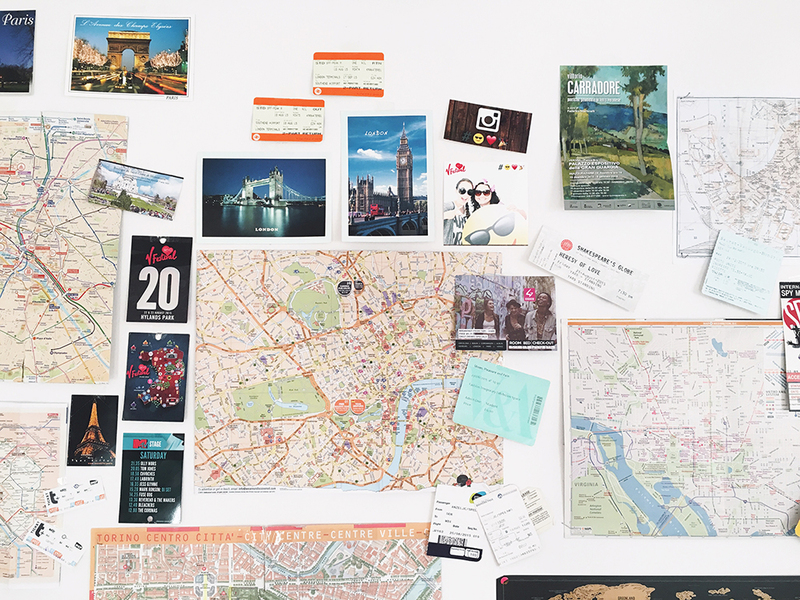 Instead of the usual scrapbook, I decided to do it on the wall above my bed, so I can look at it all the time and remember the fun times I had in different cities. It took me 2 years to finally make it look somewhat finished. 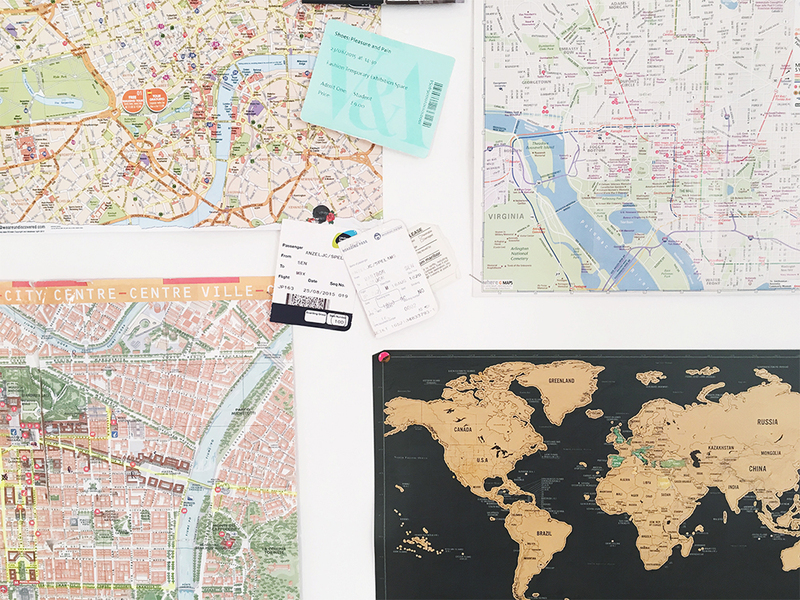 But that’s the beauty of it, I guess, because the journey never ends. Luckily, I have plenty more empty walls to fill!